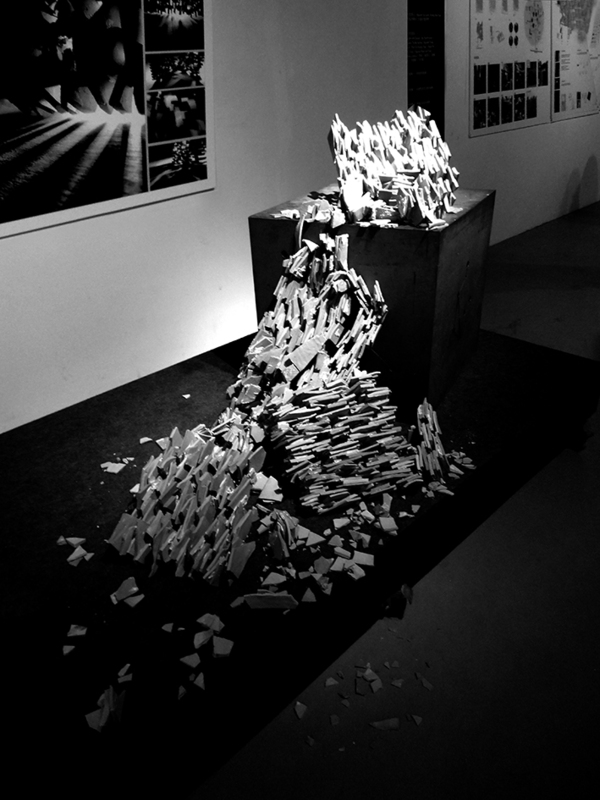 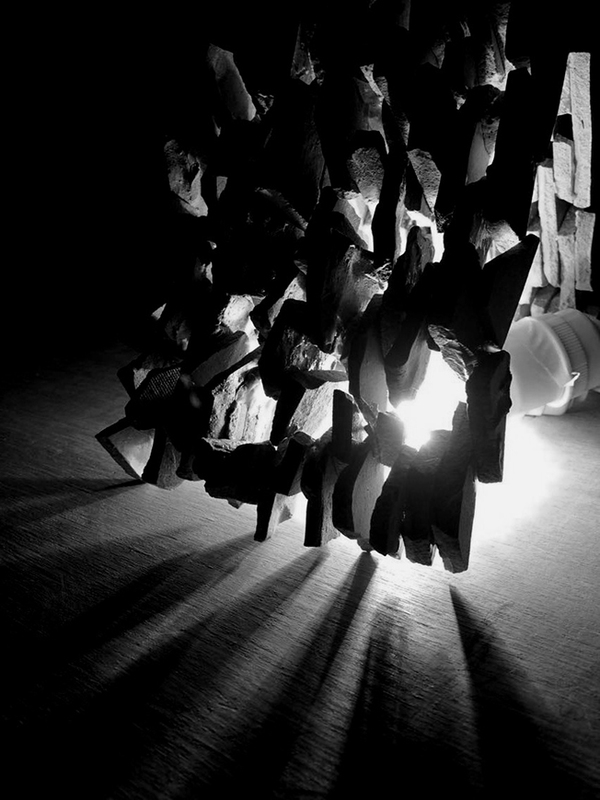 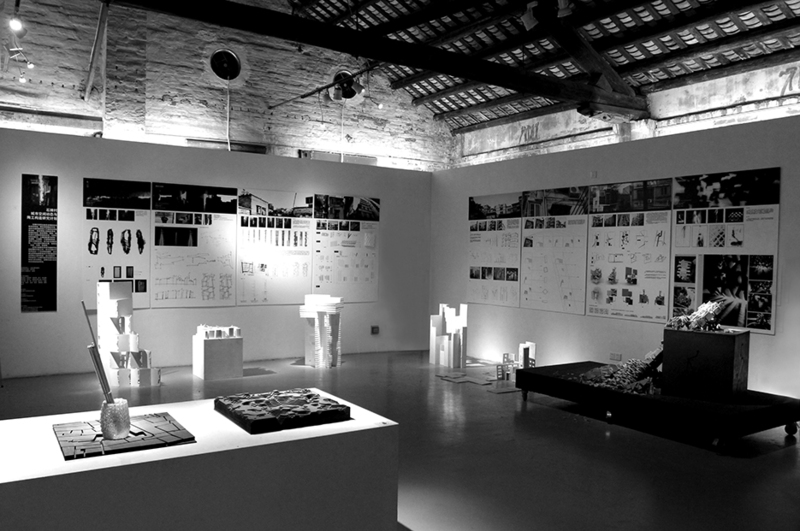 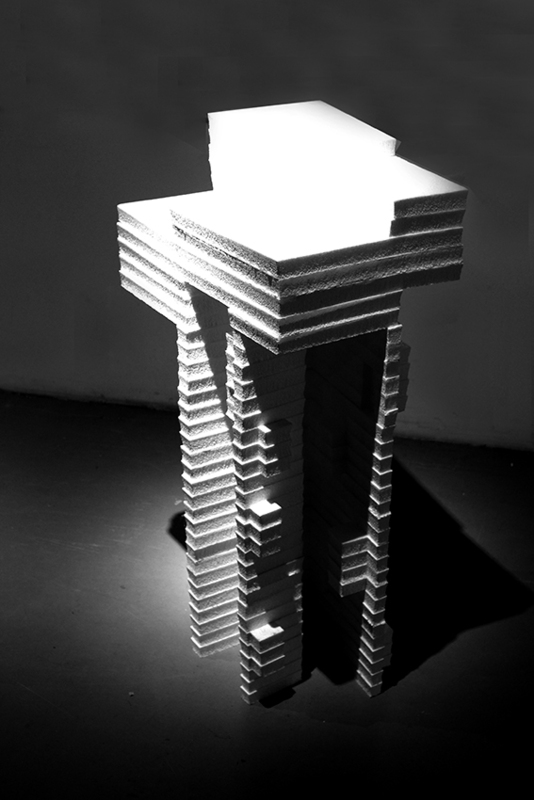 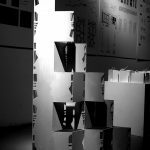 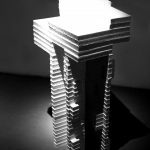 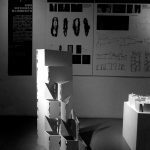 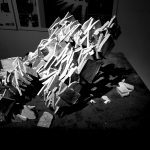 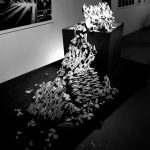 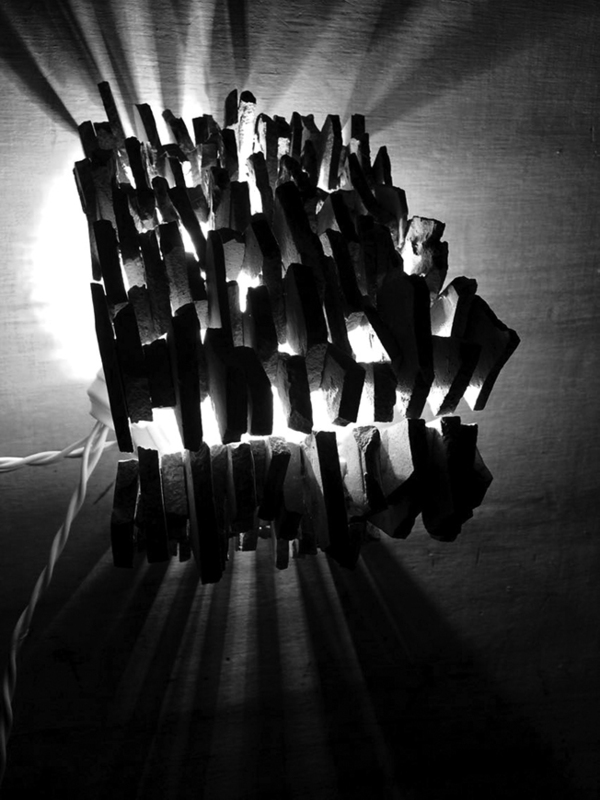 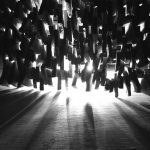 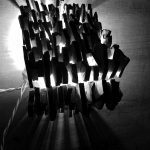 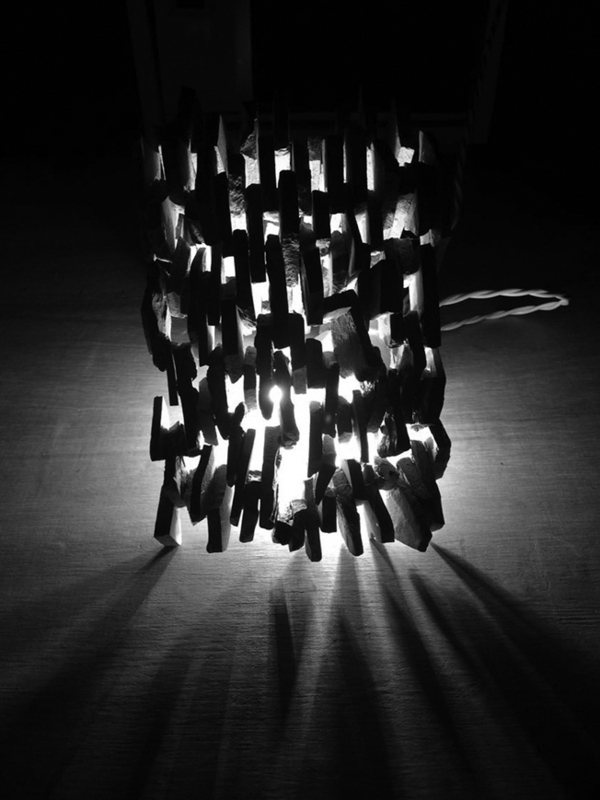 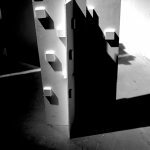 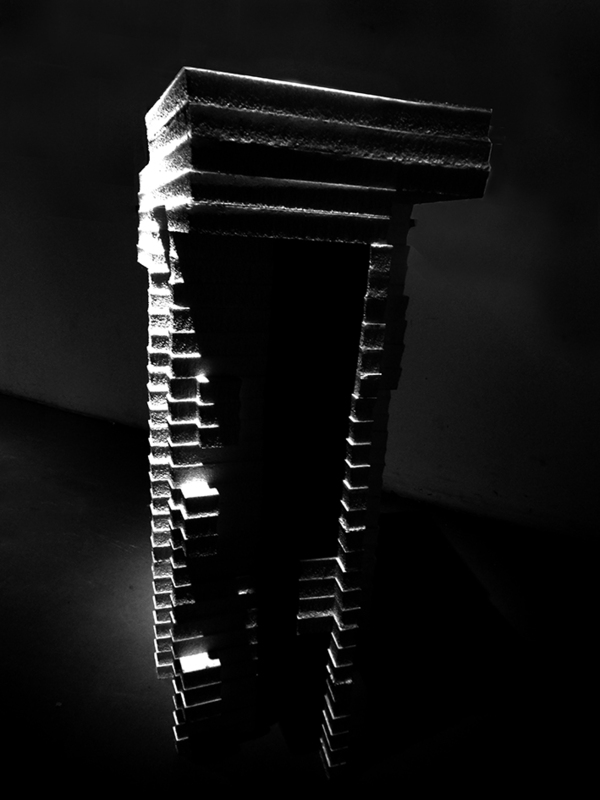 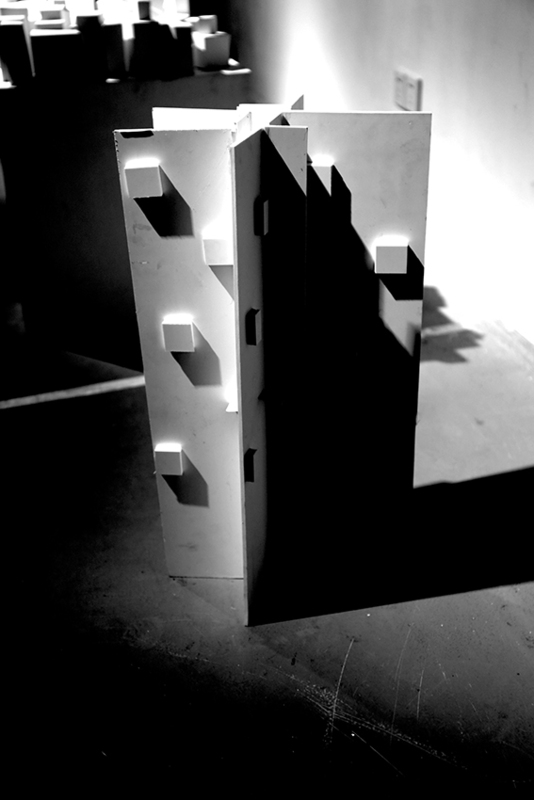 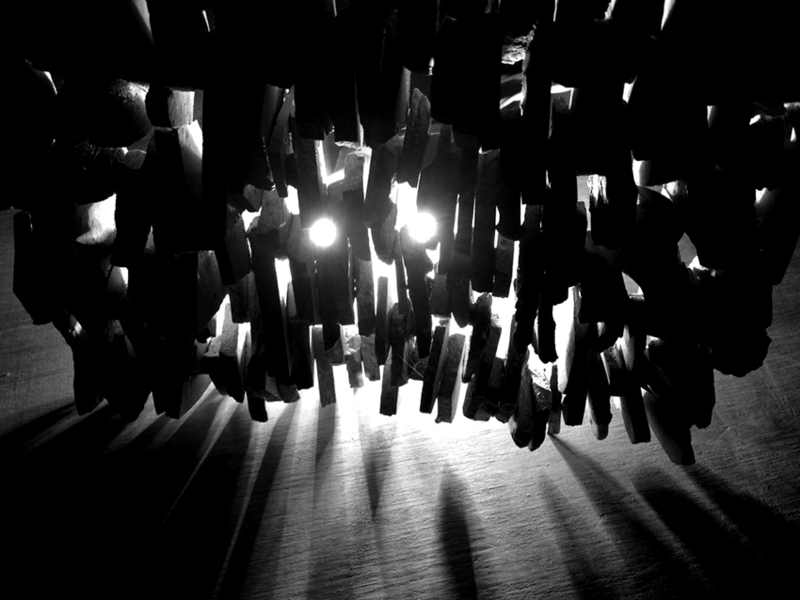 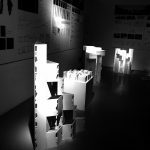 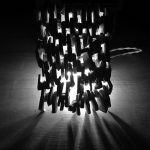 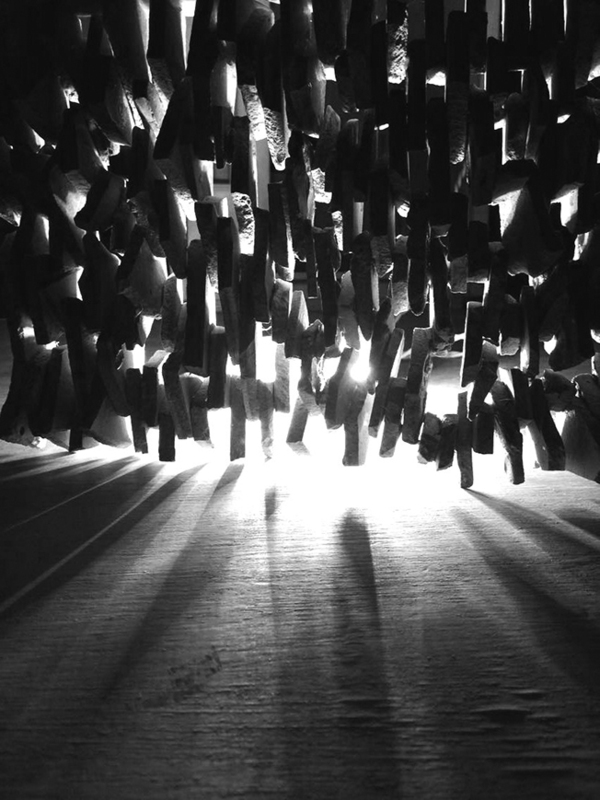 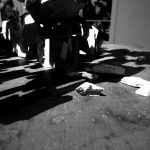 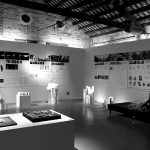 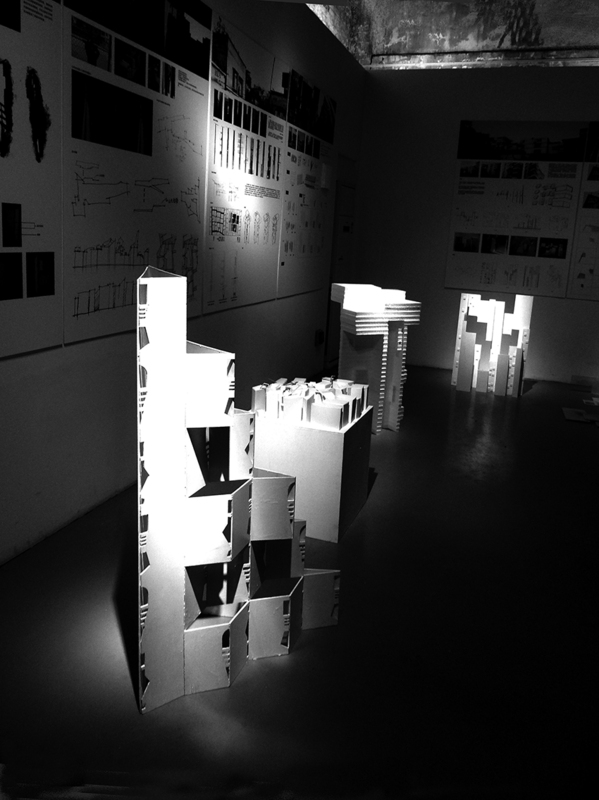 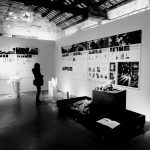 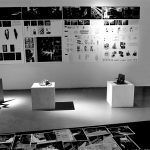 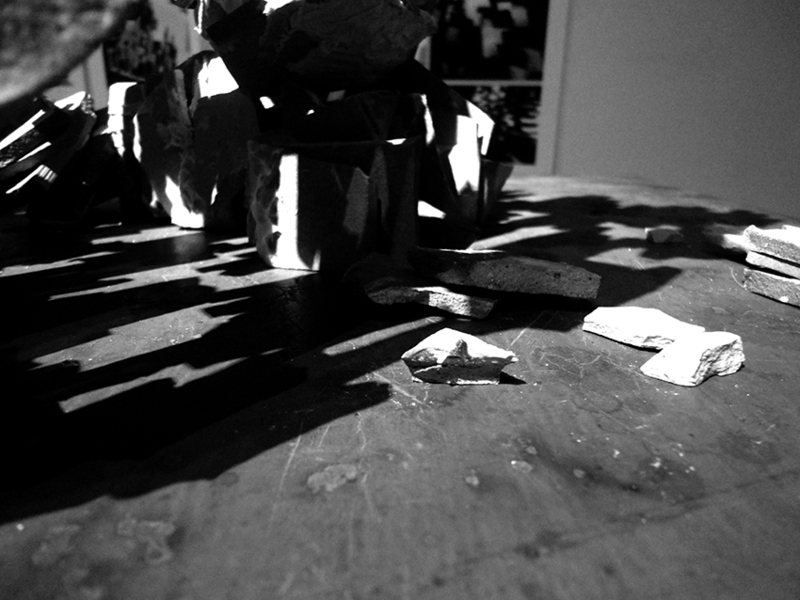 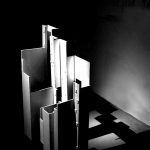 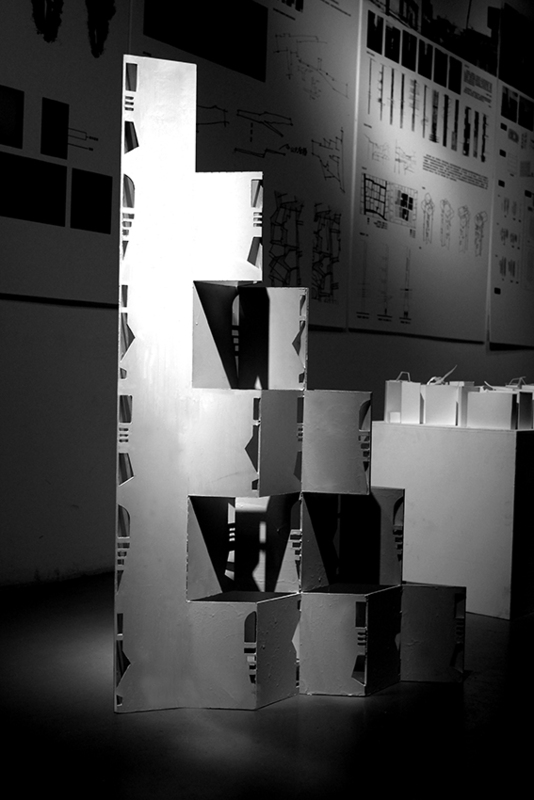 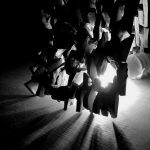 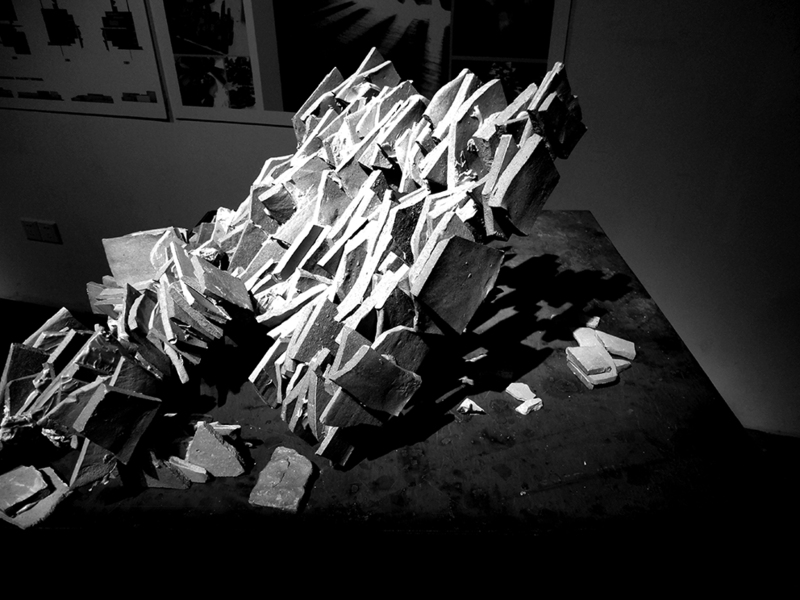 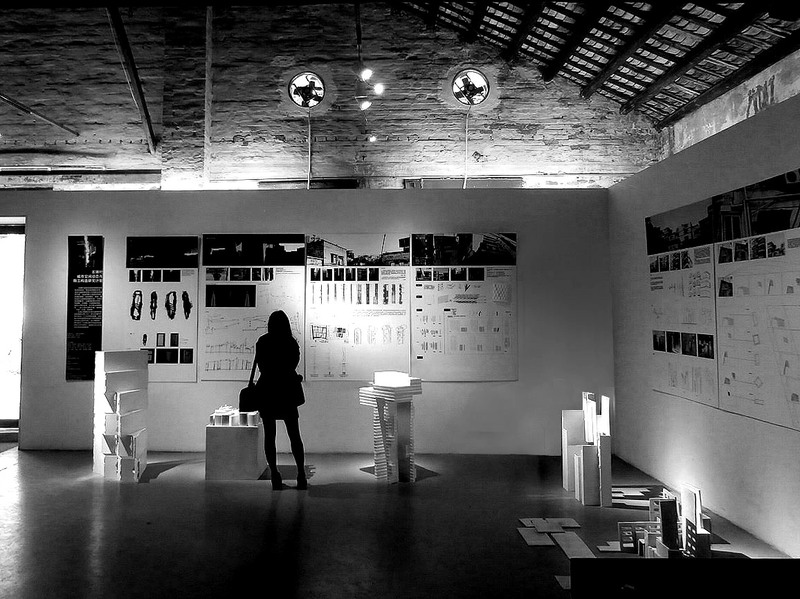 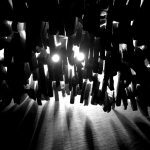 Exhibition of the students’ work, outcomes of the research design workshop on Ceramic Works, Urban Morphology, Spatial Dynamics – Shipai Village, China – led by Lina Stergiou. 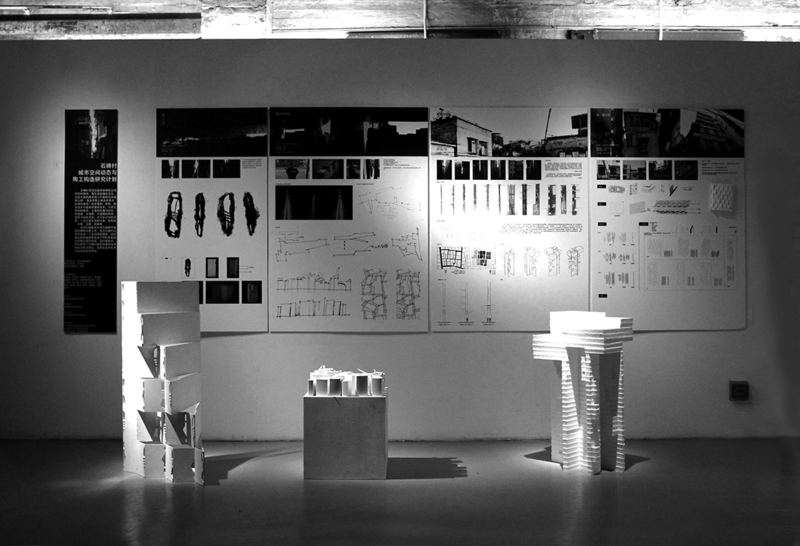 Eight student teams exhibit a respective number of panels and models. 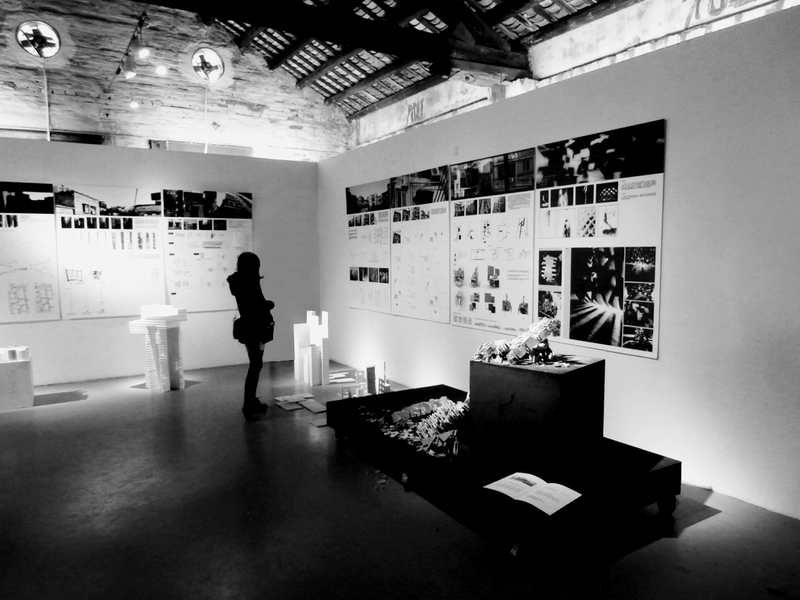 The research and design workshop focused on Shipai village in Guangzhou, where the vast changes that it decisively and unexpectedly underwent from the 1960s onwards were examined in urban, morphological and material terms. 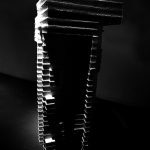 Shipai is defined by complex and diverse morphological and spatial characteristics, in which the ceramic tiles have a prevalent position. 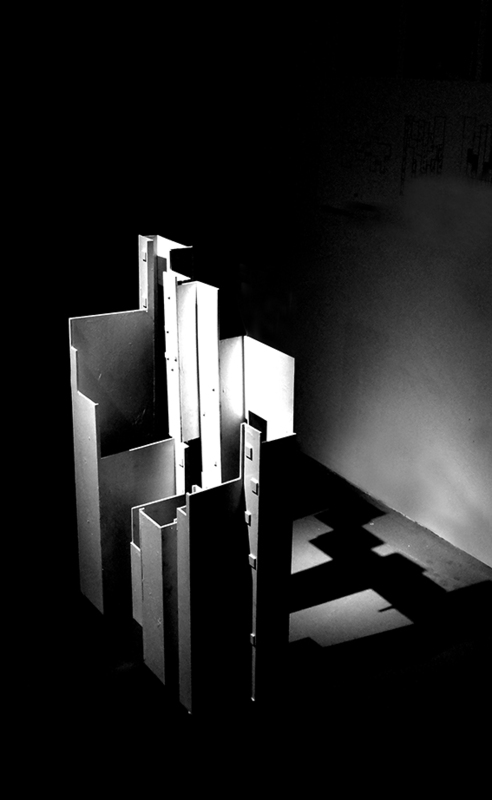 Its rich urban micro-scale is analyzed along with the role that the ceramic works play in it: such as the relationship between the ceramic tiles and the building mass; its connection with other materials; the textures and materials of the facades; qualities of transparency, semi-transparency and non-transparency; the relation between solid and void; between light and shadow; and the additional to the facade elements such as electrical wires, water pipes, air-condition units or iron frames. 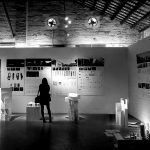 The analysis leads to spatial propositions for Shipai, which translates in abstract forms the qualities of the complex urban fabric. 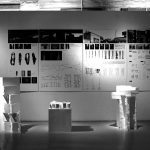 The eight propositions are comprised by a ceramic unit, which is repeated in variations. 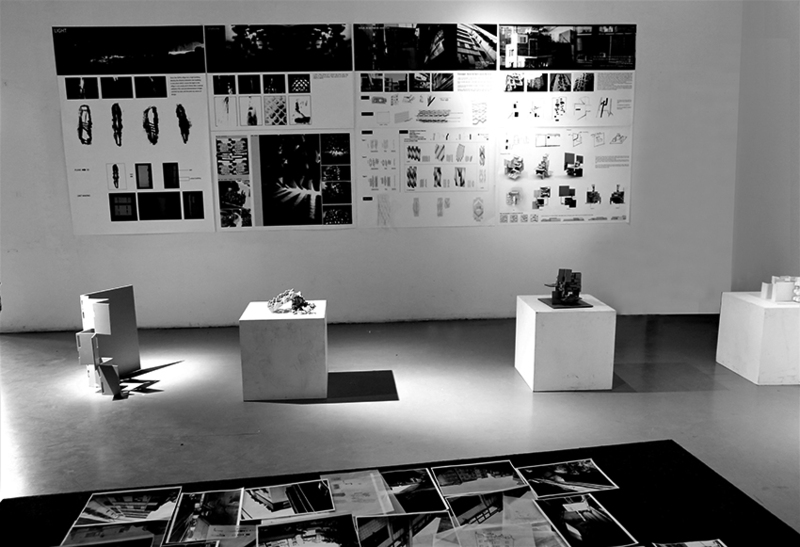 Design proposals capture the identity and formal properties of both the Shipai urban mass and the role that the ceramic tiles play in it. 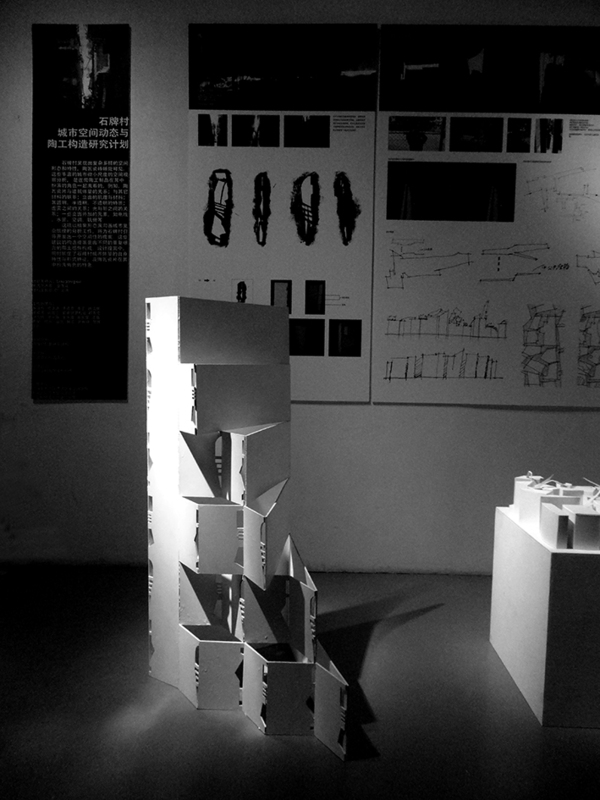 See related Ceramic Works, Urban Morphology, Spatial Dynamics – Shipai Village, Research Design Workshop.